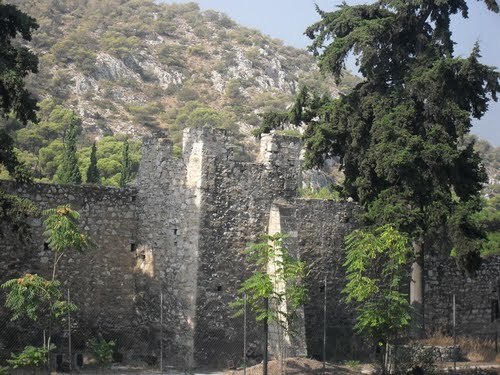 The Daphni Monastery was founded about the turn of the 6th century, Christianizing the site of the Sanctuary of Apollo Daphnaios that had been desecrated by the Goths in 395, and reusing the Ionic columns of the ancient temple of Apollo in its portico; only one remains, the others having been removed to London by Thomas Bruce, 7th Earl of Elgin. 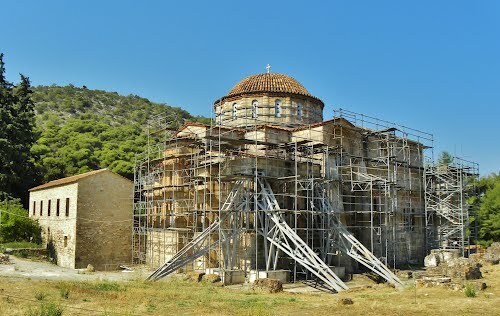 The principal church (katholikon), a fine monument of the 11th-century Byzantine art, is a cross-in-square church of the octagonal type surmounted by a broad and high dome. 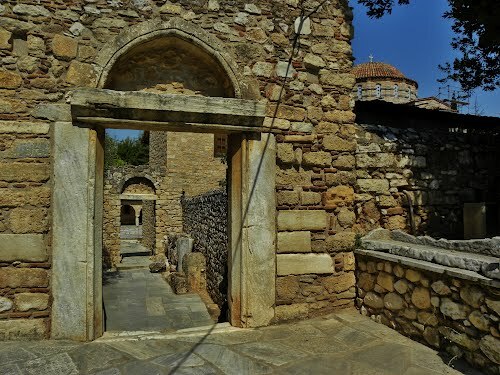 The church houses the best preserved complex of mosaics from the early Komnenian period (ca. 1100) when an austere and hieratic manner typical for the Macedonian period and represented by the famous Christ Pantocrator image inside the dome, was metamorphosing into a more intimate and delicate style, of which The Angel before St Joachim - with its pastoral backdrop, harmonious gestures and pensive lyricism - is considered a superb example. 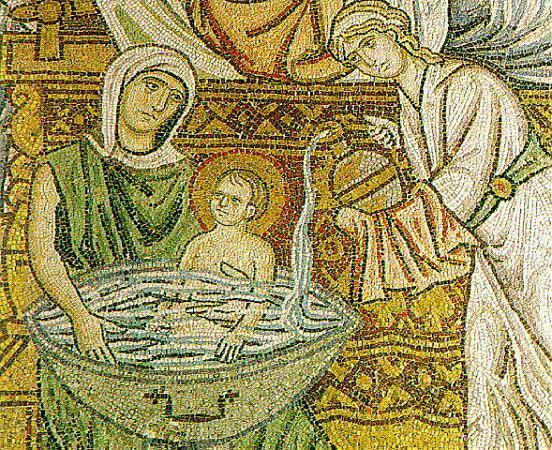 According to the Encyclopaedia Britannica, "the ensemble represents a visualization of the Christian cosmos, its effect created by an intricately conceived interplay of pictures and architecture. Space in fact fuses the decoration into one giant image, in which the ruler, hailed by the prophets surrounding him, presides in his sphere above the host of saints that people the lower part of the room". 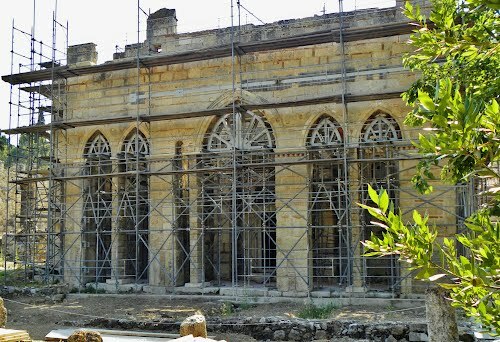 After the church was sacked by the Crusaders in 1205, Otho de la Roche, Duke of Athens, gave it to the Cistercian Abbey of Bellevaux. 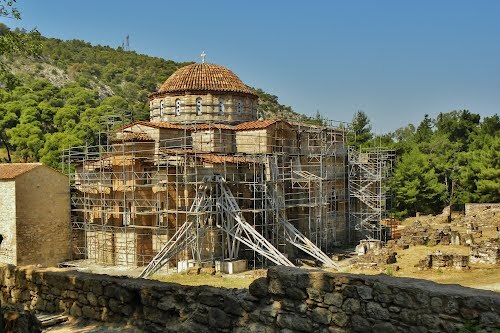 The French monks had the exonarthex reconstructed, built a wall around the monastery and effected numerous other changes until the Ottomans expelled them and returned the monastery to an Orthodox community in 1458. Gradually, the impoverished cloister fell into disrepair. 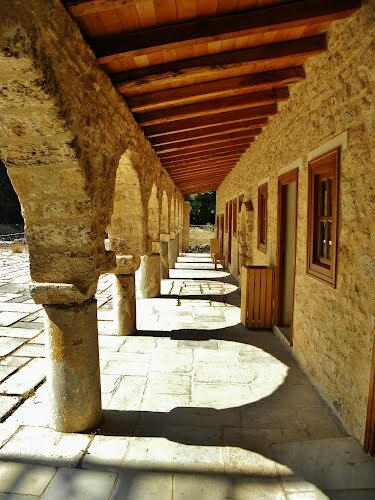 The monastery was disbanded by Ottoman authorities in 1821 on the outbreak of the Greek War of Independence, but restoration work did not commence until 1888. 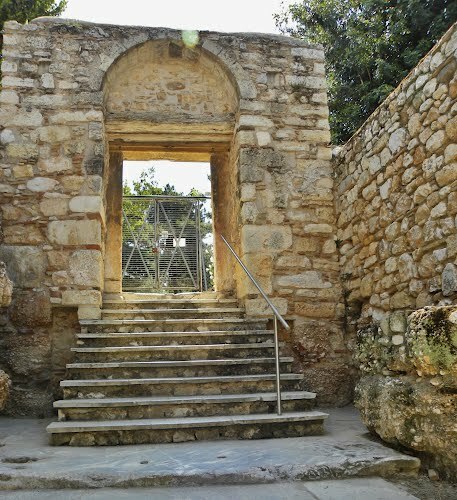 It was declared a World Heritage Site in 1990. 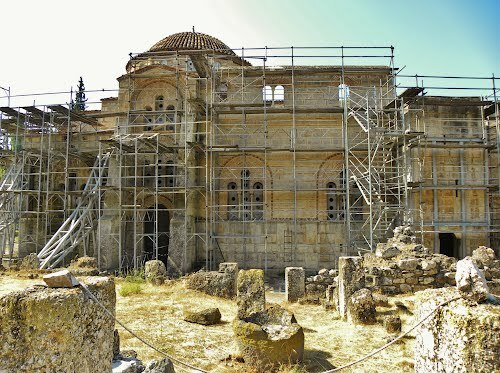 Heavily damaged by the 1999 Athens earthquake, Daphni Monastery is currently closed to the public for restoration.